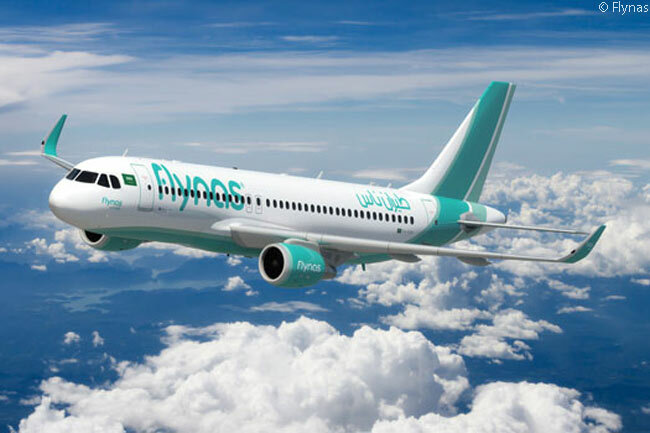 Flynas has placed a firm order for 60 A320neo-family jets and has converted a previous order for 20 A320s to A320neo-family aircraft, bringing the airline’s total firm order to 80 A320neo-family airliners. 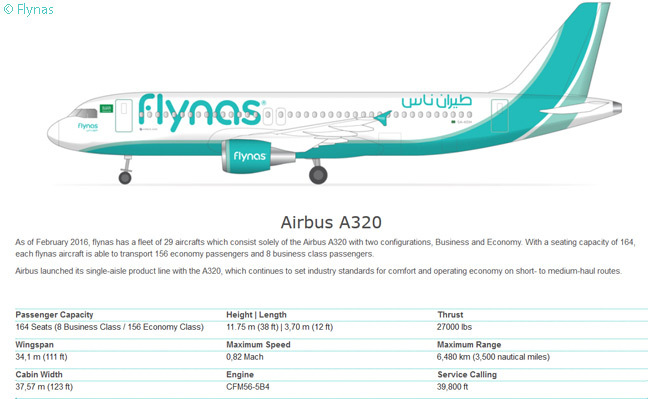 Additionally, Flynas has secured purchase rights on 40 further A320neo-family aircraft. The carrier hasn’t yet announced an engine selection for its A320neo-family jets, but the A320s Flynas now operates are fitted with CFM56-5B engines. 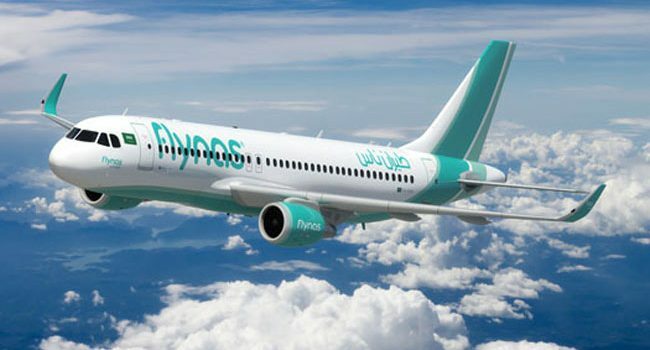 Deliveries to Flynas of the 80 aircraft for which it has placed firm orders are scheduled to take place in the nine-year period from 2018 through 2026. Flynas announced its A320neo-family order at a press conference in Riyadh on January 17. The news conference was led by Ayed Al Jeaid, chairman of NAS Holding Group; Bander Al Mohanna, chief executive officer of NAS Holding Group; and Fouad Attar, Airbus’ mmanaging director, Middle East. An all-Airbus operator, Flynas has 26 A320s in service at present. Launched in 2007, the airline has operated more than 260,000 commercial flights and has carried more than 30 million passengers in the past 10 years. “Flynas has come a long way to establish itself as a highly reputed airline in Saudi Arabia. With the introduction of the new aircraft technology, we are confident of our ability to provide best services to our customers,” said Al Jeaid. “We also look forward to being the first airline in the Kingdom to be successfully listed on the Saudi Stock exchange, which will offer equity ownership to the public and be a part of a great journey,” added Al Jeaid. “We have operated exceptionally well with our existing Airbus A320 fleet, which has allowed us to maintain high performance standards in operations and passenger experience,” said Al Mohanna. “We have an ambitious growth vision and the new A320neo order will further support our plans to be a leading low-cost carrier with the most advanced and efficient technology and will allow us to strengthen our offerings within and outside of Saudi Arabia,” Al Mohanna added. Flynas carried 6.3 million passengers in 2016, a 14 per cent increase in passenger numbers over 2015 and a new annual passenger-boarding record for the airline. Airbus has booked orders for more than 5,000 A320neo-family aircraft, from 90 customers, since the manufacturer launched the A320neo program in 2010.